Would you like to meet one of the most beautiful members of the hummingbird family? So get ready, because you won’t be disappointed by how wonderful this incredible species known as the ruby-throated hummingbird is. The ruby throated hummingbird (archilochus clubris), or as it is also known, the gorgirubi hummingbird or ruby-throated hummingbird, is part of the trochilidae family and is native to North and Central America. It is the only hummingbird species that nests in the eastern Mississippi River. They usually live in deciduous and pine forests, as well as on forest edges. But it is also common to see it in orchards and gardens if you can get food from there. If there is one thing that makes this incredible hummingbird species stand out, it is the beauty of its appearance. Its size is 7 to 9, 5 cm and 2 to 6 grams in weight. Males are slightly smaller than females. On the back they have a metallic green colour reminiscent of the shine of a ruby, with an iridescent red throat, which may appear black depending on the angle. In the case of the female, the throat is white. The lower parts are greyish white, with almost black wings. Its tail is quite short, forked in the male, while in the female it has a normal shape. The young look like females, but with some red feathers in the throat area and a golden hue in the dorsal area. Its beak is long, straight and very thin. The male has a shorter beak than the female. Do they have any peculiarities? Following the same pattern as most members of their family, the red-throated hummingbird is a lonely bird. Adults only come into contact at mating time. They aggressively defend their feeding grounds, especially in the summer months and early autumn, when they become fattened for migration. Their main food source is the nectar they get from flowers on ground plants or trees, but it also includes small insects. Sometimes they can take sap from woodpeckers’ perforations. She especially likes red flowers as a source of food. The male only looks for the female during the mating process. After a courtship process, which includes a sonorous song, movements and excellent flight technique, you will go on to the mating process. If successful, the male will leave to look for another female, while the male will build the nest where he will lay the two eggs. Before laying eggs, the female gets enough food to avoid having to leave the nest during incubation. When the little ones are born, they are mainly fed with small insects so that they can receive the necessary proteins to develop. They do not leave the nest until they are four or five weeks old. It is normal that the first few weeks they leave only to explore the surroundings and then return to their mothers. After two months of life, they will fly on their own to find their own home. Although he prefers to live in public gardens, it is not uncommon for him to settle in a human being’s garden. It does not usually have many problems in coming into contact with humans, as long as this does not affect their diet. However, this is also a problem for the bird. Because he lives in an urbanized area, he is at risk of being hunted by one of the best predators in the area: the cat. This makes the survival rate of a hummingbird in an urban area very low, only about three or four years of life, as cats hunt them when they are asleep. 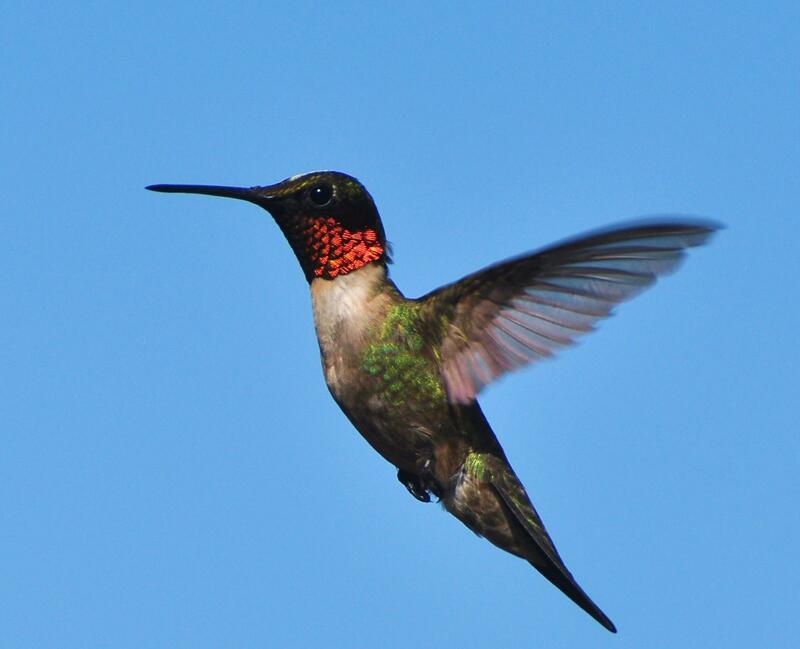 For this reason, hummingbirds are encouraged to live in areas where there are no hummingbirds.